This is undoubtedly a meal with a great presentation that everyone will enjoy! 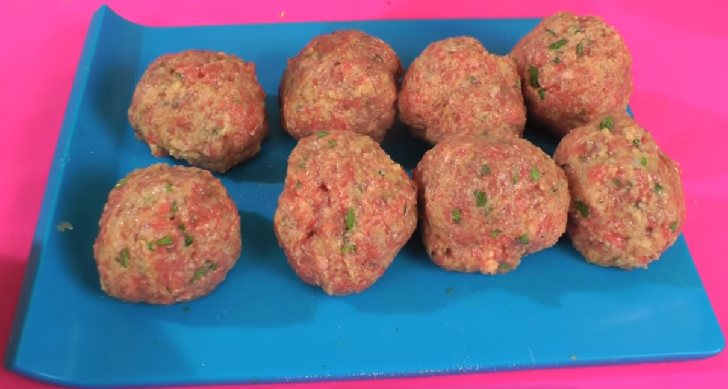 Meatballs prepared with a delicious mixture of seasonings, drizzled with a tasty tomato sauce! Mix the beef with the pork. Season with a little salt, nutmeg, pepper, chopped cloves of garlic, breadcrumbs, Worcestershire sauce and egg yolk. Mix well the seasonings in the meat. Mold with your hands' small portions of the meat in the shape of balls and set aside. Put the olive oil, the chopped onion, the peeled tomatoes cut into small pieces and the oregano in a saucepan and cook over low heat until the tomato starts to break down. Add the meatballs and drizzle with white wine. Cover the pan and cook over low heat for about 40 minutes, stirring occasionally. Turn off the heat and serve the meatballs with white rice or spaghetti.